Kendra Brown, J.D., M.Div., LL.M. 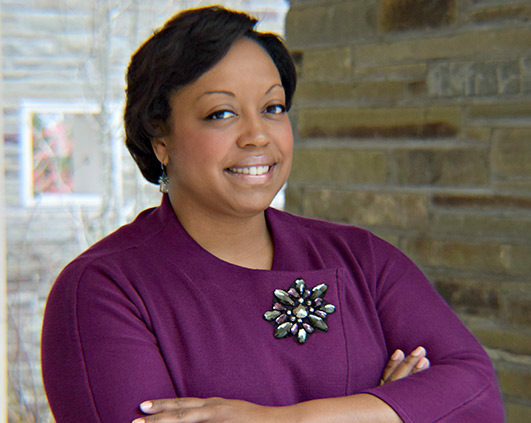 Kendra Brown currently serves as Senior Director for Diversity, Inclusion and Affinity for the Washington College of Law at American University. Previous roles she has held are Deputy Chief of Staff and Legislative Director for Representative Dwight Evans of Philadelphia, Pennsylvania, Policy Director of the Congressional Black Caucus in the United States Congress, and Counsel for Representative Maxine Waters of Los Angeles, California. She is a Former National Chair of the National Black Law Students Association (NBLSA). During her term as National Chair, NBLSA was active in election protection, leadership training and development, academic planning, career development, and extensive advocacy efforts. Kendra graduated from Hampton University with a Bachelor of Arts degree in Political Science with a minor in Business Management. She began her seminary studies by pursuing coursework at the Interdenominational Theological Center in Atlanta, Georgia, completed her Master of Divinity at Howard University Divinity School, and received her law degree from Vermont Law School. Additionally, Kendra attended the George Washington University School of Law for her Master of Laws. She is committed to community engagement and empowerment as a member of Alpha Kappa Alpha Sorority, Incorporated in the Baltimore County Chapter, Upsilon Epsilon Omega, where she currently serves as Vice President and Program Committee Chairman. She is also a member of The Links, Incorporated and serves on the Leadership Committee of Street Law, Inc, a global, nonpartisan nonprofit organization that develops classroom and community programs to educate young people about law and government. She serves in a number of additional capacities, including as a Youth Minister and Minister of Music in her local church and has been a part of the executive board of both the Washington Bar Association’s Young Lawyers Division and the National Bar Association Young Lawyer’s Division.